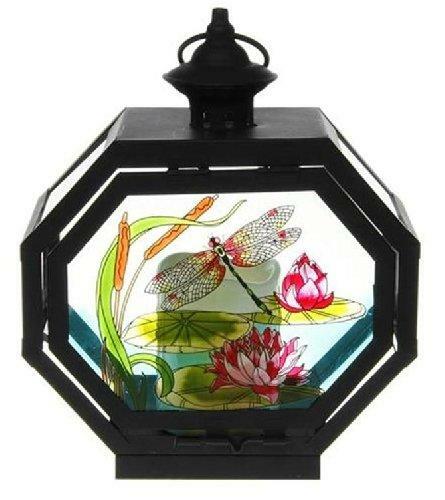 A black metal Octagonal shaped Lantern with glass panels. Opening front hinged door allows access to plastic candle shape inside. Base of Lantern allows the fitting of 3 AAA batteries for illumination.